Today is the start of the Chinese new year. The following chart plots the average performance of the stock market for each animal year since 1950. For example, Ox years started in 1961, 1973, 1985, 1997, 2009; and the average performance of the market in those (Chinese) years was +14.0%. NB. 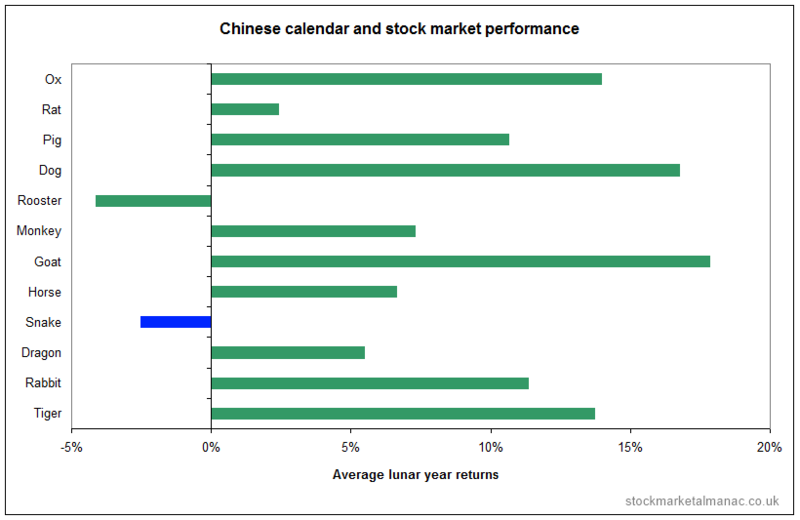 The Chinese calendar is based on the lunar year cycle and so performance has been calculated for each lunar year – not the corresponding calendar year. As can be seen the best performing market animals have been the goat and dog. And, coincidentally (or, is it? ), the worst performing animals have been the rooster (perhaps a mistranslation for turkey?) and snake. The Chinese New Year starting this week is…the Year of the Snake! The Chinese calendar is therefore forecasting (if history is a guide) the market will fall 2.5% from 10 February 2013 to 30 January 2014. 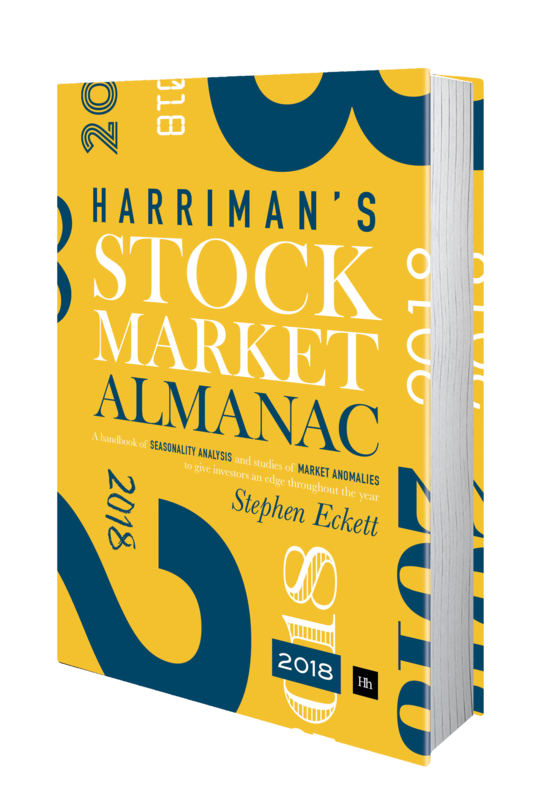 The S&P500 Index was used for this study; as the correlation between the US and UK markets is so high, this index is a sufficient proxy for the UK market for the purposes here. This entry was posted in International, Long term, Market, Miscellaneous, News and tagged Chinese, Chinese new year, lunar, new year by Almanacist. Bookmark the permalink.